OXFORD, Miss. – Business and industry leaders will gather in Oxford next week to discuss technology, education and workforce development at the third annual University of Mississippi Technology Summit. Chancellor Jeffrey Vitter will host U.S. Sen. Roger Wicker and technology leaders Wednesday (Aug. 29) for the event. Registration begins at 8:30 a.m. in the Gertrude C. Ford Ballroom at The Inn at Ole Miss, and speakers begin at 9 a.m. The summit brings together leaders from government business and higher education to explore trends in technology and stimulate discussions about technology-related needs in industry and education. “The University of Mississippi’s Tech Summit is a one-of-a-kind opportunity to welcome national leaders in industry, education and government to our campus for stimulating conversations about the future of tech,” said Vitter, UM’s 17th chancellor and distinguished professor of computer and information science. Guest speaker Michael Kratsios, deputy assistant to the president at the White House Office of Science and Technology Policy, will speak during the luncheon. Wicker said he anticipates great outcomes based on the results of the two previous summits. 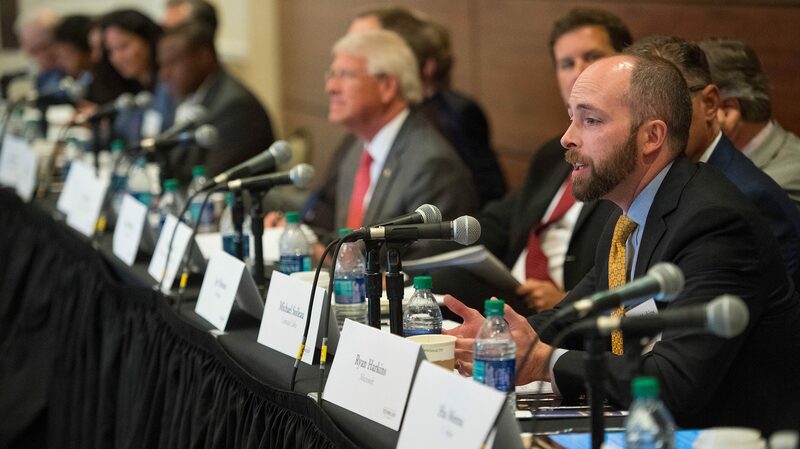 “I commend the University of Mississippi for bringing together leaders from government, business and higher education who will shape the future of innovation in our state and nation,” said Wicker, member of the Senate Republican Leadership Team, senior member of the Armed Services Committee, chair of the Subcommittee on Seapower and co-chairman of the U.S. Helsinki Commission. 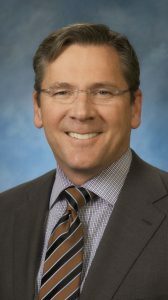 Jim Barksdale, former CEO of Netscape Communications Corp. and former COO of FedEx Corp., will moderate a morning roundtable discussion on opportunities and challenges in technology. Barksdale is an Ole Miss alumnus and a renowned philanthropist for education in Mississippi. Participants include representatives from FedEx, Samsung, UM and the Department of Homeland Security. Students from the university’s international studies and mathematics programs, the Arabic and Chinese Language Flagship programs, Haley Barbour Center for Manufacturing Excellence, Center for Innovation and Entrepreneurship, Trent Lott Institute for Public Policy Leadership and the McLean Institute ‘s Catalyzing Entrepreneurship and Economic Development Initiative also will present three-minute talks. Former Gov. Haley Barbour will moderate a second roundtable discussion on the role of education in preparing the tech workforce. Participants include representatives from LinkedIn, the Mississippi Community College Board, C Spire, Huntington Ingalls Industries and UM. Allyson Best, director of technology commercialization for the university’s Office for Technology Management, will moderate a final roundtable discussion on technology applications in government and industry. Panelists will represent the UM Medical Center, Office of Science and Technology Policy, Space and Missile Defense Command, Sen. Wicker’s office and Comcast. The event reinforces Vitter’s commitment to strengthening STEM education, growing the university’s capacity to address future workforce needs and enhancing the university’s status as a Carnegie R1 Highest Research Activity institution. The summit also complements many of the university’s recent efforts in this area, including the new STEM building and the chancellor’s initiative to establish an interdisciplinary research and education program in data science. The event is free and open to the public. For more information and to pre-register, visit http://techsummit.olemiss.edu/.